Edward Dalton Stevens was born December 6, 1878 in Goochland County, Virginia. His father, Captain William Stone Stevens, was born in 1839 in Boston, Massachusetts. His mother, Ellen Elizabeth "Nellie" Dodge, was also born in 1839 in Boston. His parents married on August 23, 1862 and had three children, Florence Stevens (b.1867), William Dodge Stevens (b.1870), and Edward Dalton Stevens (b.1878). The mother's unwed sister, Mary Francis "Fanny" Dodge (b.1848), lived with them. The father was a technician at an oil company. He supervised oil field production, so the family had to periodically relocate. Because of this nomadic employment, each child was born in a different state. By 1880 the family lived in Olean, NY, at 415 Sullivan Street, where they were prosperous enough to afford a cook and housekeeper. In 1889 the older brother, William Dodge Stevens, moved to Chicago to attend the Chicago Art Institute. He was nineteen years old, and lived at the Colonial Hotel. In 1898 the Aunt of Edward Dalton Stevens, Mary Francis "Fanny" Dodge (b.1843), married Martin Barney (b.1847), a traveling salesmen of boots and shoes. The bride and groom were fifty-five and fifty-one. They had no children. They moved to Chicago, and lived at 7817 West Winneconna Parkway. At that time Edward Dalton Stevens was twenty years old and eager to study art. His newlywed Aunt and Uncle invited him to join them. That fall he began to attend the Chicago Art Institute, where his two most influential art teachers were J. H. Vanderpoel and O. D. Grover. The lives of these two artist brothers are in some ways parallel to the more famous Leyendecker brothers of Chicago, Joseph Christian Leyendecker and Francis Xavier Leyendecker. In 1902 the Stevens brothers left Chicago and moved to New York City to seek their fortunes as commercial artists. They lived and worked in a rickety six-story wooden building at 424 West 23rd Street on Eighth Avenue. This was the same building where Walter Baumhofer and Alureda Leech would rent their first art studio twenty-five years later. Both of the two brothers became successful commercial artists. 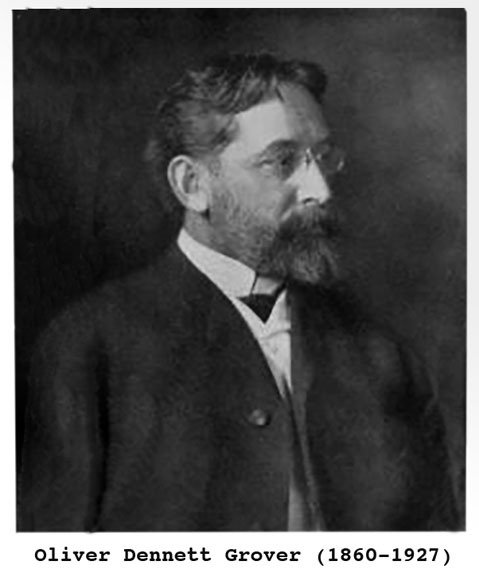 Edward Dalton Stevens illustrated The Youth's Companion, Hearst's Magazine, and Metropolitan Magazine, as well as novels produced by NYC book publishers. William Dodge Stevens illustrated Cosmopolitan, Ladies' World, McClure's Magazine, Woman's Home Companion, The Saturday Evening Post, Harper's Bazaar and Harper's Monthly. In 1904 their parents were both sixty-five when the father retired to enjoy the prosperous lifestyle as a gentleman of leisure. In 1907 the mother, Ellen Elizabeth "Nellie" Dodge Stevens, died at the age of sixty-eight. After her death the father and two sons traveled to Paris, France, where they remained for eighteen months and returned to America in 1909. The brothers resumed their art careers in NYC and continued to work together in a new shared art studio at 51 West 10th Street, in Greenwich Village, while the father bought a home in Metuchen, New Jersey at 153 East Chestnut Avenue, where his sons also lived. 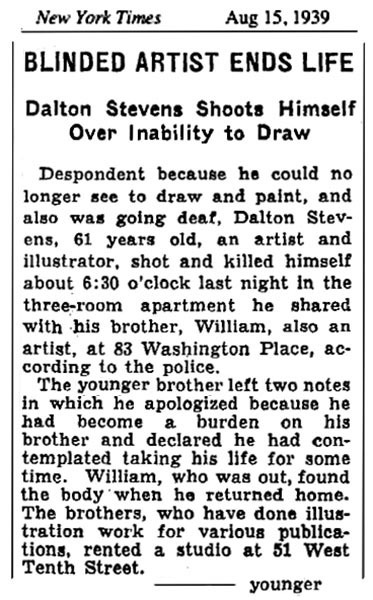 In the 1910 U.S. Census, Edward Dalton Stevens (age thirty-one) and his brother, William Dodge Stevens (age thirty-nine), were both listed as professional free-lance commercial artists at the same address in Greenwich Village. 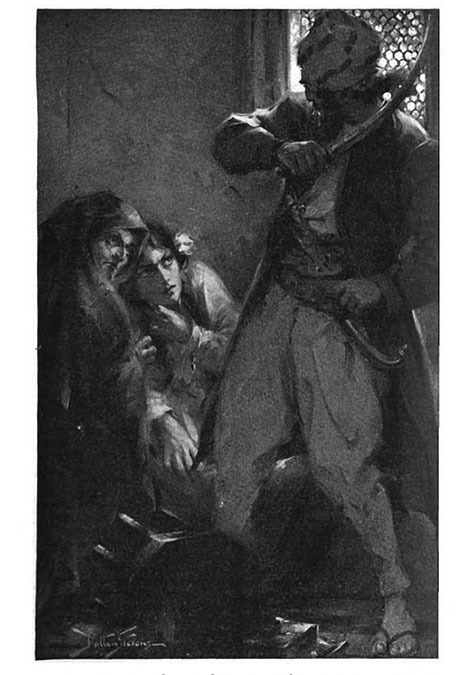 Illustrations by Edward Dalton Stevens were published in books as well as Pearson's Magazine, McClure's Magazine, and The Century. Illustrations by William Dodge Stevens were regularly published in The New York Tribune. In 1914 the husband of their Aunt Mary Francis "Fanny" Dodge Barney died in Chicago. After this tragic death the widowed Aunt, age sixty-six, came to live with the artists and their father in Metuchen, NJ, where she helped to keep house and take care of her widowed brother-in-law, who was age seventy-five. 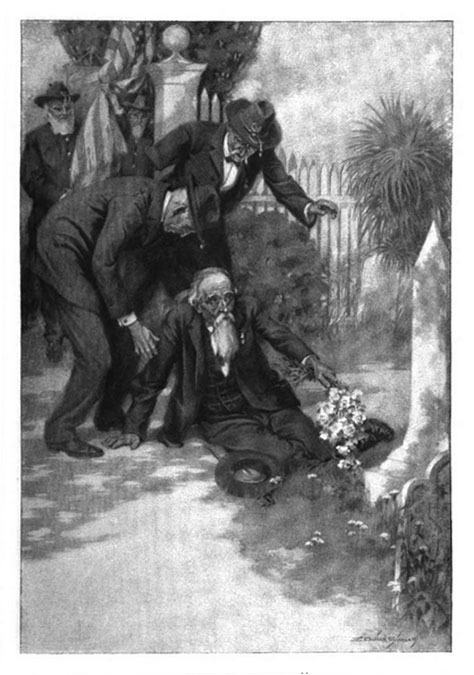 On April 29, 1916 the father, William Stone Stevens, died at the age of seventy-seven. November 25, 1916 The Oakland Tribune published a nationwide syndicated feature on "Artists An Their Models," which included Edward Dalton Stevens. On September 12, 1918, during the Great War, Edward Dalton Stevens reported for draft registration. 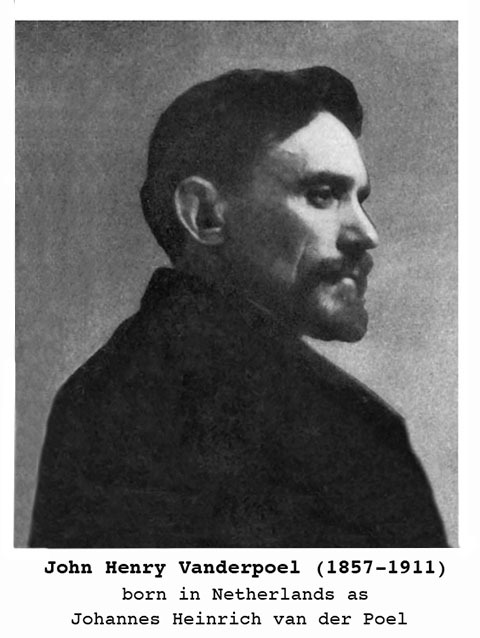 He was recorded at the time to be age thirty-nine, medium height and medium build, with blue eyes and dark hair. He was not selected for military service. On May 29, 1919 Edward Dalton Stevens married Elizabeth M. Keith in Brooklyn, NY. She was born in 1892 in Montana. On January 11, 1922 The New York Evening Post reported, "The Quiet Hour Club of Metuchen celebrated its twenty-seventh anniversary by a performance of the Japanese play "The Weeping Willow" at the residence of club member Mrs. Edward Dalton Stevens, who also played the role of Ao-ya-gu. her husband, a well-known illustrator, painted the scenery." Their marriage became increasingly unhappy, until August 24, 1927, when the Civil Court of Reno, Nevada, granted a divorce decree to Elizabeth Keith Stevens from Edward Dalton Stevens. They had no children. 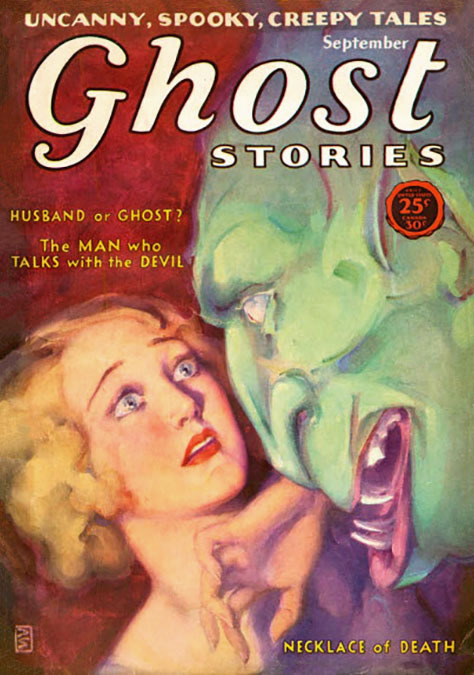 During the 1920s Dalton Stevens painted covers for several magazines produced by Bernarr Macfadden (1868-1955), such as True Confessions, True Detective, Physical Culture, and Ghost Stories. An associate editor at Macfadden Publications was Harold Hersey (1893-1956). At that same time William Dodge Stevens illustrated McClure's Magazine, The Saturday Evening Post, Liberty Magazine and Physical Culture. In 1929 Harold Hersey started Good Story Publishing Company with financial support from Bernarr Macfadden and distributors, Warren Angel and Paul Sampliner, who co-owned Eastern Distributing. Advertising was handled by their affiliate, Henry Dwight Cushing (1882-1954). 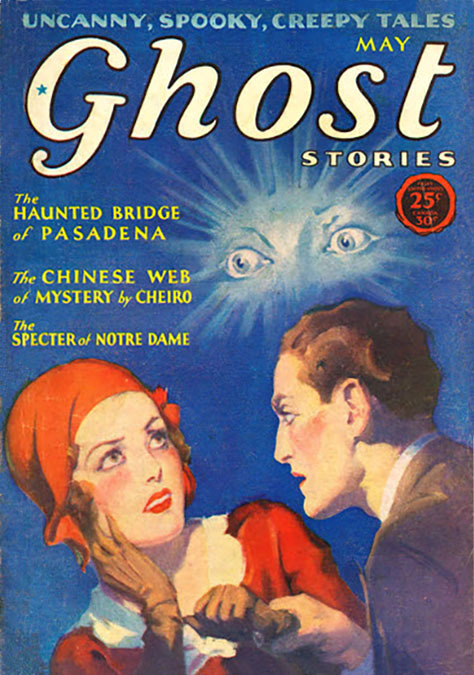 One of Harold Hersey's first periodicals was the pulp magazine Ghost Stories. 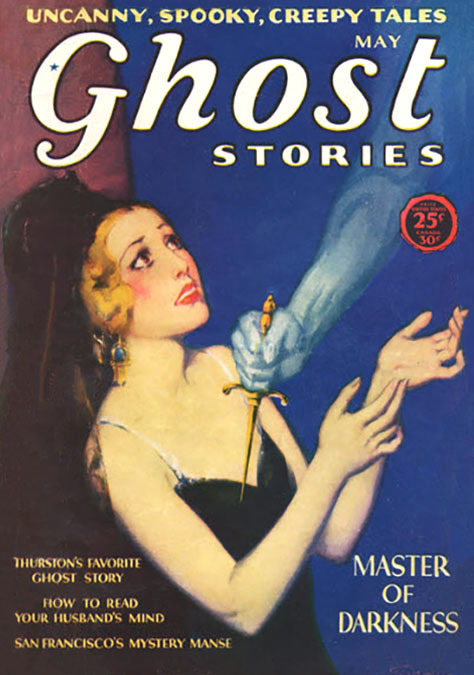 This magazine title continued the numbering sequence of the Macfadden publication, and also continued to have covers painted by Edward Dalton Stevens. The 1930 U.S. Census listed Edward Dalton Stevens as fifty-two and divorced. 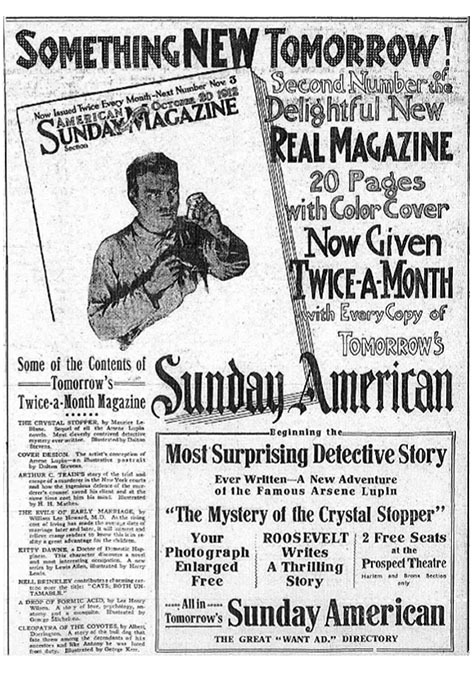 He lived with his brother, William Dodge Stevens, age fifty-nine, in their family home in Metuchen, NJ, where they were both listed as "Illustrator of Magazines." During the Great Depression both artists remained equally successful illustrators of popular American magazines. 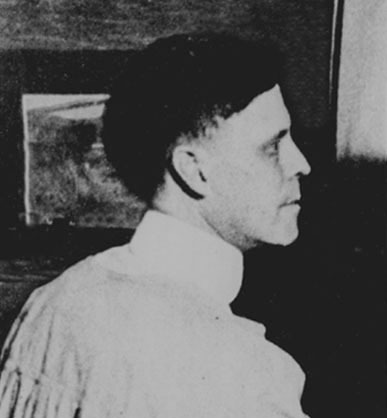 During the 1930s Edward Dalton Stevens began to suffer a pronounced loss of vision in both eyes. His condition worsened until he became totally blind, at which point the despairing artist committed suicide at age sixty-one on August 14, 1939. 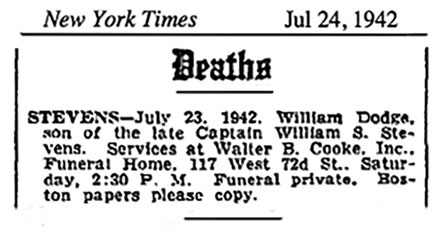 Three years later, his older brother, William Dodge Stevens, died at age seventy-two on July 23, 1942.